Resolution, Smesolution. I Resolve Not To Give A Flip! The late nights. The holiday eating (and cooking.) The celebration and hoopla. I’m looking forward to our usual routine. But that’s not the only thing I’m tired of. I’m tired of hearing about the latest celebrity fashion we should all follow. 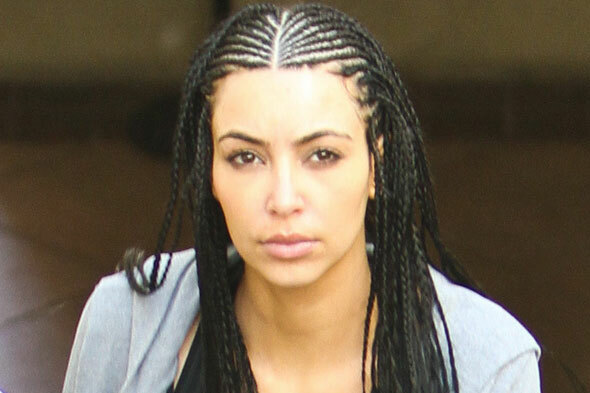 Kim Kardashian’s cornrows? Are you kidding me? Did we not learn from Bo Derek? It did not look good then and it doesn’t look good now. Trust me on this one. I’m tired of digital scales to encourage weight loss, detox diet books, 10 ways to stick to your fitness plan, scales that creep up on me when I swear I’m only eating vegetables and drinking water. I’m tired of a college football season that lasts well into January. I’m tired of (and I never thought I’d say this) new recipes. Give me comfort food with the ingredients/measures/oven temps all stored in my pretty little head. No more souffles, tarts and sauces. Good ol’ meatloaf, steamed broccoli and carrots and mashed potatoes for this girl. I’m tired of having to sneak up to the computer because my family doesn’t know I even have a blog, let alone follow all of you. I’m tired of making resolutions and then not even remembering what they were a few weeks into January. Seriously. I do this all the time. It’s winter. It’s time for a long winter’s nap. Or at least a break from all the pressure out there to be perfect, or to care about celebrities and their fashion statements, personal problems and fragile egos. So, yes. As reluctant as I am to make yet another resolution that I’m going to break in a few weeks anyway…I’m going to make one. I resolve not to give a flip!